In blogging, your email list should always be your #1 focus. It’s the only thing that you have (almost) complete control over. Social media sites and search engines have constantly changing algorithms that can affect your reach. But your email list is usually only affected by what you do. Your email list will also be your primary income source if your business model focuses on either affiliate income or your own products. Having several ways to join your email list is your best tactic to grow your email list quickly. In fact, I gained an extra 18,000 subscribers in the last 7 months! I’m going to walk you through my strategy step-by-step today. Grab a free smart bar from sumome. This is one of the most powerful free list building tactics. 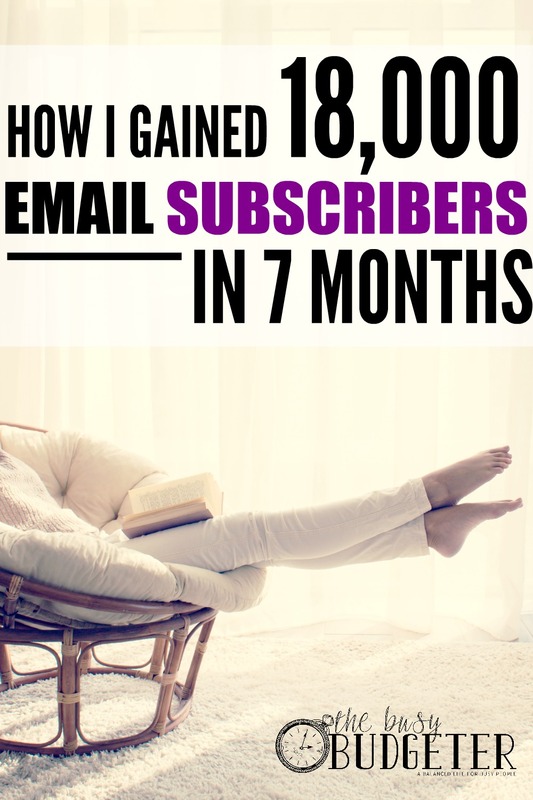 This one opt-in was getting me almost 400 subscribers a month alone! The fact that it’s free is just a bonus. You need to download Sumome (free) smart bar for your computer here. An opt-in freebie is something that readers get for free when they join your list. It serves both as an incentive to sign up and an opportunity for you to show them what you can do for them. My best advice for creating your freebie is to pursue simple. Checklists, printables and simple pdf’s perform better in my opinion than e-books or anything too complicated. You also want your opt-in to appeal to 100% of your target audience (as long as you only have one opt in. 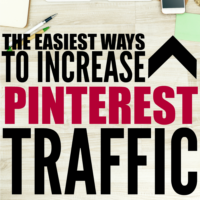 Another strategy would be to have several smaller opt-ins targeted to different sections of your target audience. You want your opt-in to be extremely valuable. Enough that people would pay money for it. If you click this link, you can subscribe to get updates from me. What? You didn't click and subscribe? Pshhh. Not cool. I’m kidding. What if I told you that, if you subscribe below, I’ll instantly send you the Quick Growth Blogging Resource Guide. 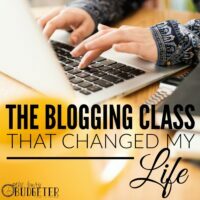 It’s a complete list of the resources, training and classes that I used my first 9 months of blogging that made me grow from $18/month in income to $2,089/month income (and now… just 19 months after starting this blog, I’m making over $24,000/month income!). I’m basically handing over the secrets of what tools worked for me and what didn’t. And tons of them are completely free. It’s helped thousands of bloggers increase their income from their blogs. Interested? 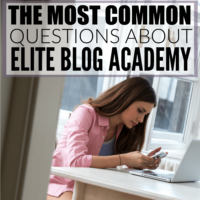 Jot your name and email below, I’ll send you blogging tips like this one and send you the resource guide immediately. Who I am and why you should listen to me. What you’ll get from subscribing. And why you need the item that you’ll get. Side note: I only started writing about blogging a few months ago. Most of my income and my subscribers are from my budgeting list. Where I use the Ultimate Money Saving Workbook as an opt in. It’s a free checklist of all of the ways that we found to reduce our spending. You can find out more about it here. But if you write about blogging as well as your normal subject, you’ll need to have two opt ins. If you don't already have one, you’ll need an email service. I use Convertkit and am completely in love with it. If you’re over 2,000 subscribers, I highly recommend it. It’s much simpler to use than I was expecting (I’m not what you would call tech savvy). If you aren't over 2,000 subscribers than yay! You can actually build your list for free! I used Mailchimp before convertkit and it was free and easy to build my list there. Use HTML codes in your posts. Remember above, when I told you to sign up? The first time, I asked you to click a link which took you away from what you were reading. Which is a pain because you came here to read this post, not sign up for my email list and click away. The second time I asked you to sign up, I gave you a box directly below when I asked and told you to stick your name in it and press send. That’s much easier for you and more people are inclined to do that then to click away. You can create one of these codes in your email service. If you use Convertkit with me, you click “forms” at the top of your dashboard then “create new form”. Then insert it in the “text” (or html) tab when you're writing your post. Click back to visual and your opt in box magically appears! Create a sidebar ad for your opt-in. You can see mine by glancing to the right side of your screen. See that giant “Subscribe to get our free money saving workbook?” That’s an ad for a free product, my opt-in freebie for my budgeting list. You can design your own and upload it to your sidebar as a photo and then link it to your email provider. I had mine designed by a web designer so she embedded the email form directly into it. It cost me $15 and was well worth the money spent! Heads up: You need to be self hosted on wordpress in order to do this (which you should be anyway if you want to earn money from blogging), you can learn more about that here. You can get hosting for as little as $3.95/month through this link. Create an end of the post opt-in. Very few people will actually read to the bottom of your post. But the ones that do are the most likely to actually subscribe to you. So, you want to make sure that you tell them to subscribe when they get to the bottom. It’s the same steps as creating a sidebar ad above, but you’re putting it in your footer instead of your sidebar. I know, I know. You hate pop ups. But they convert REALLY well. You can create one for free with Sumome Mat. I set mine so that you don't see the pop up if you’ve already seen it within 30 days. If you’re totally against pop ups, you can skip this and concentrate on the other methods. 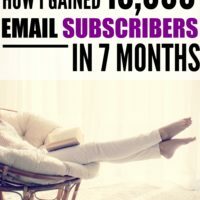 What do you do to grow your email list quickly? Great tips! I have Sumome, but I haven’t been doing what you do as far as telling people who I am and why they should trust my advice at the end of my posts when inviting them to subscribe. As far as opt-ins, I’ve heard it might be a good idea to have a whole library of freebies when you’re offering more than one. Do you think that’s a good option when running MailChimp before I can afford ConvertKit? Yah! I am glad that you wrote a post about how to increase email list. That’s what I’ve been looking for! For Sumome, it does not work at all, my former readers quit subscribing my blog because they hate the pop-ups while they tried to read my blog posts. So I decided to change it to the mailchimp and Hello Bar, and they are not so bad… From your suggestion, I am going to try for ConvertKit when I have over 2,000 subscribers. I’ve pinned yours in my “better blogging tips” board. Thank you for great tips! I just switched to convert kit as well. It integrates with my forms I have up for optimize press. So thankful because it made the switch that much easier. Convert kit is great!